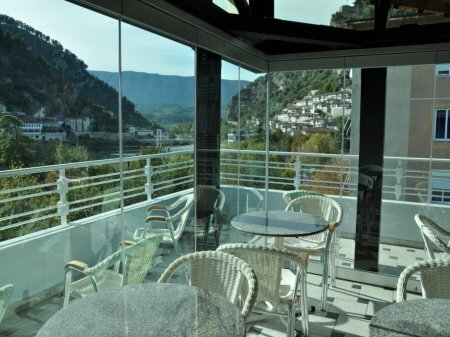 Below you will find a selection of Berat's hotels in Albania with reviews, prices, photos and hotel maps. 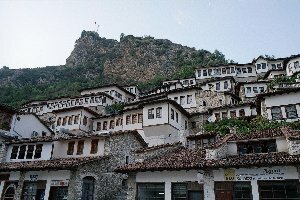 Berat is situated at the foot of Tomorri Mountain and on the shores of River Osumi. It is nearly 122 km from Tirana and 105 km from Tirana International Airport. It is more than 2400 year old and is one of the most attractive towns in Albania in terms of architecture, culture and history. Berat is known as the town of a thousand windows and is an UNESCO site. 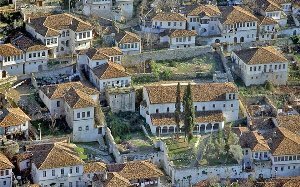 In Berat you can visit: The castle which is the only one in Albania which still has residential houses within its walls, churches, the Onufri Museum, the Ethnographic Museum, the Mosque of Bachelors, the King’s Mosque, Mangalemi district etc.